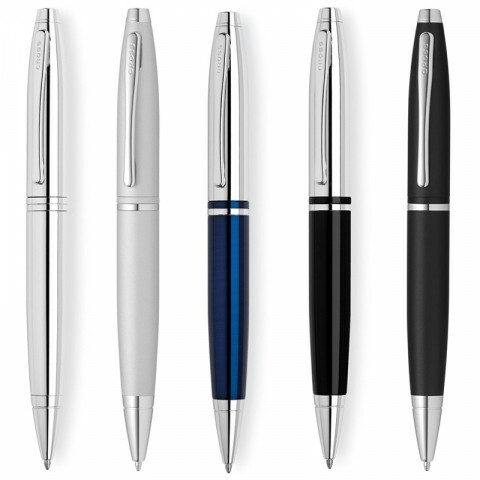 Cross pens are some of the most luxurious pens on the retail market and that is why we decided to put together a range of these pens that you can personalise with your own company logo and designs. 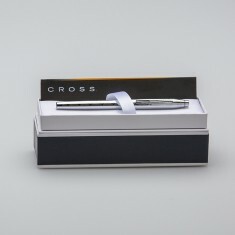 Promotional Cross pens make fantastic executive gifts for your top clients and they’re even worthy to give out to your corporate team if you want to impress the next time they turn up to the business meeting. 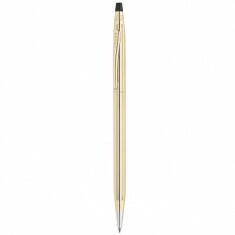 These branded Cross pens are sure to add the cherry on top to your premium, high end image and make a great investment for anyone who is dressing to impress. 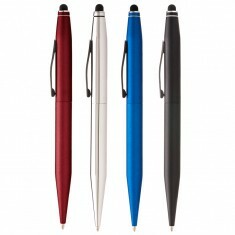 We have carefully selected what we think are the best pens for promotional use. 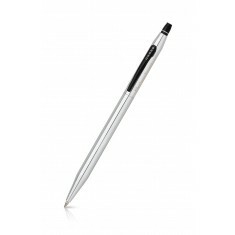 But, if you can’t find the Cross Pen that you want to personalise, give our sales team a call and we can look into finding it for you. Whether you’re looking for a classic like our customised Cross Century Classic 10ct Rolled Gold Ballpen or a technology forward edition like our Cross Tech 2 Stylus Ballpen, we have a pen to suit your promotion. A personal favourite from this range is the custom printed Cross Edge Rollerball which has a unique slide action opening with a metal middle that can be engraved with your design alongside printing to the barrel. 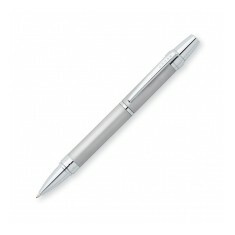 This pen is sure to be the envy of any office and makes an superb corporate gift for your most valued clients. 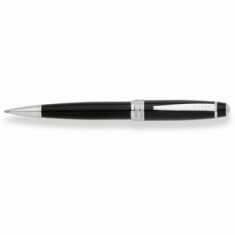 Ready to get your own executive pens? Give our sales team a call today and we can draw up free of charge visuals so you can see what it will look like for yourself. Sturdy metal casing. Smooth black ink refill. Twist action. Premium gift box. Official Cross product. Official Cross product. Bright chrome finish. Supplied in Cross gift box. Slim retractable rollerball. Black ink. 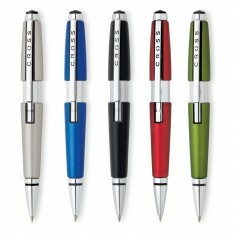 Give your clients a luxurious gift with our engraved Cross Statford Chrome Bal..
Soft stylus. Sleek metal finish. Twist action. Black ink refill. 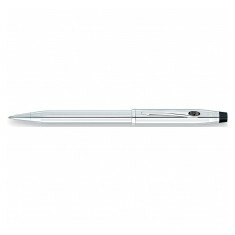 Official Cross pen. 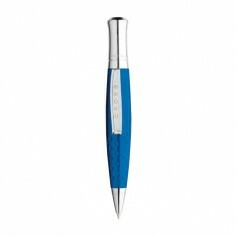 Our Cross Bailey Ballpen offers a high quality, retail finish making it a bril.. Unique sliding action opening. Smooth rollerball refill. Deluxe gift box. 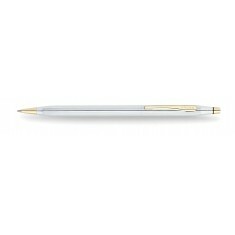 Iconic Cross ballpen. Black ink. 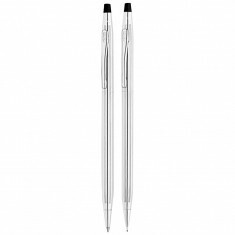 If you're looking for a premium gift for a client or well loved colleague, our..
For an effortless way to flick between writing notes and using your tablet, ou..
Polished chrome ballpen and pencil with twist action mechanism supplied as an .. 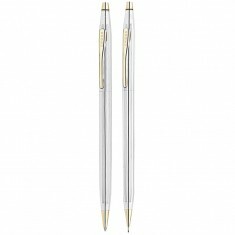 This high quality, premium Cross Ballpen is manufactured from 10ct Gold and is..
Official Cross product. 23 carat golf plated appointments. Individually gift boxed.